Possum Rescue | How Many Species of Cockroaches Plague Humanity? How Many Species of Cockroaches Plague Humanity? Cockroaches are one of the most successful species on the planet. They are also one of the most hardy and one of the most common pests. Cockroaches first landed in the Americas from Africa as early as 1625, but the invasion is far from over. New York City, for example, just identified a new breed of immigrant: a novel species of cockroach with a heightened cold tolerance. As Reuters reports, Periplaneta japonica normally resides in Japan, but an exterminator spotted one last year in the High Line park. Now, entomologists have confirmed the sighting—the first ever in the U.S. for this species. In the Southwest, an invasive species of cockroach with a fast developmental period and the ability to produce more eggs is outcompeting “native” cockroaches, introduced long ago from Africa and assimilated into the environment, the Los Angeles Times says. For Southwesterners, the good news is that the invasive Turkestan roaches cannot climb walls. The bad news is that they reproduce very quickly, and an invasion can swiftly escalate out of control. So with Turkestan roaches and Japanese roaches now calling North America home, how many cockroaches do we now have to worry about? 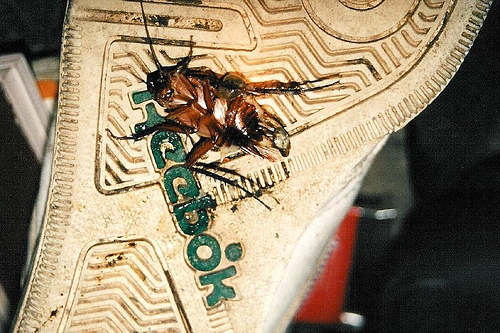 There are actually 4,500 species of cockroaches in the world. But just 30 are considered pests. Of those 30, however, four especially excel at making a nuisance of themselves: the German, American, Australian and Oriental cockroaches. Unfortunately, all four of those species occur in the U.S. German cockroaches are most common, but it’s the American cockroaches—the largest and most limber of the pest species—that really get the heart thumping when they scuttle across the floor. Australian cockroaches originated from Asia and resemble American cockroaches: they are a bit smaller, but just as adept at erratically flying at your face or hanging from your ceiling. Out all of these detestable contestants, however, it is the smaller oriental cockroach that should cause the most alarm. As frequent sewer dwellers, they are considered to pose the greatest sanitation threats.